First things first, AVA has been nominated for a Certificate of Excellence by Trip Advisor. Thank you to all of our guests who have left us positive reviews over the last few years. We hope you’ll choose AVA again for your next adventure! Not sure exactly what you’d like to do? We’ll give you some ideas. Though our trips on Clear Creek are nearing an end, there’s plenty of water left to enjoy in the state of Colorado. If you’re willing to drive for an adventure, here are a few excursions you should take on this summer. Heading out for a day with your family? The Colorado River should be your destination. It’s perfect for young kids and the older generations who want to get on the river but not worry too much about having to navigate difficult whitewater. There will be a few spots where you’ll get your paddle going through the Class II rapids, but sitting back and relaxing while enjoying the breathtaking views along the Colorado River is what really makes this one special. It’s a great overnight getaway and nearly all-inclusive. All you’ll have to do is bring a sleeping bag, and when you pull over to your riverside campsite you’ll get to sit back and relax as your guides set up the tents and cook up some dinner. Sleep under the beautiful Colorado night sky, then jump back on the river in the morning to finish up your excursion. 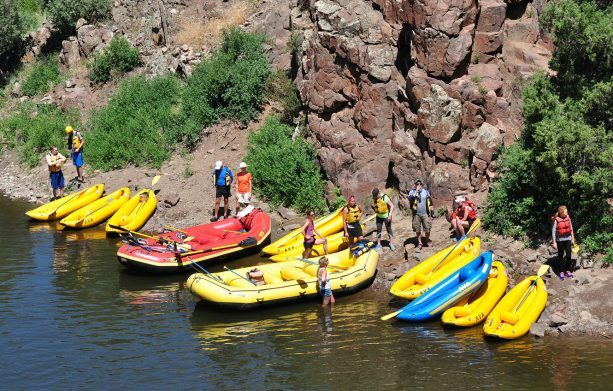 The best part about the Browns Canyon Sizzler is first of all, you’ll be rafting the most popular section of whitewater in the country. Not only is it gorgeous scenery – it’s also a National Monument. And second, you get a hot chicken fajita lunch on this trip. The Class III rapids in Browns Canyon will get your heart racing a bit more than the Colorado River, so a sizzling lunch stop will be much needed for a refuel. We’re stepping it up a bit with this one. The daredevils that are looking for a challenge… this one’s for you. You’ll start off with a rappel down the granite rock face high above the Arkansas River Valley. Once you land safely on the ground below, take on the Class IV and Class V heart pumping sections of whitewater on this full day adventure. Still looking for something closer to Denver? AVA is running trips on Clear Creek while the water levels are good, so call today to get out there before the season is over! If you’re willing to make the drive, there is plenty of water up in the High Rockies. 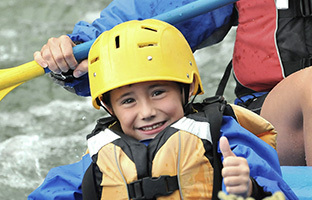 Join AVA Rafting & Zipline for the adventure of a lifetime this summer. *25% off deal expires July 20th, 2018.